Continuing our tradition of supporting the community through performance, the Community Stage in the Entertainment Hall is calling for performers! From martial arts demos to dance performances to singers, we want to spotlight our attendees’ creative endeavors! Interested in performing on the Community Stage? Send us your information by submitting an application below! Four microphones and basic audio/visual equipment are available. 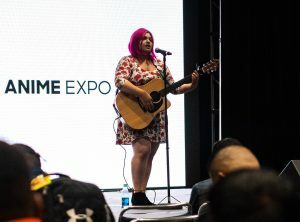 Anime Expo 2019 will run from July 4 through July 7 at the Los Angeles Convention Center, with Pre-Show Night on July 3, 2019.